Was wir in Nairobi 2009 begonnen hatten trägt heute unglaubliche Früchte. 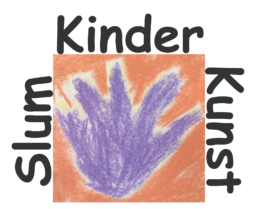 Das sind alles unsere SlumKinder von damals. Ihre Visionen waren trauriger Natur. Jetzt stehen sie erfolgreich im Leben. Hope you’re well and that God has kept you strong in faith. I am well and hope to share stories of where some of the kids are now. Peter Kamau is a recording artist with two music videos and he performs in concerts. Haron Mbitu is a bassist for Sarabi performing locally and internationally. Kevin Otieno is at the university studying medicine. Edwin Otieno is at Kenyatta University. Dan Marige is a DJ and photographer, he’s directing music videos. Jimmy Kamau and Stephen Otieno are acting in the theater in Nairobi and have appeared on several tv series. This is the good we did and thank you for your help, and my mama always talks about you.